The implementation of the regional CASA-1000 project can bring Tajikistan an annual income of more than $ 150 million. In addition, the republic will receive income from the transit of Kyrgyz electricity through its territory, Tajik media outlets reported. 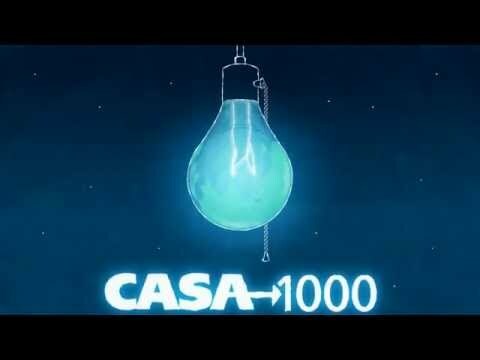 Under the agreements reached on the CASA-1000 project, the export price of electricity will be 9.35 cents per kWh. Within the framework of the project, Tajikistan will export 70 percent of electricity to Pakistan, and 30 percent to Kyrgyzstan. The project will provide transit of up to 5 billion kWh of electricity from Kyrgyzstan and Tajikistan to Pakistan. The share of Tajik electricity exports will amount to 3 billion kWh of electricity. Given the current energy capacity, Tajikistan is in a position to export more than this amount in summer, if the need of consumers increases, according to the country's Energy Ministry. “This project is extremely necessary and important for Tajikistan, it will connect our energy system with other countries and will allow us to export summer surplus of electricity, which annually makes up 5 billion kWh,” the ministry said. To implement the project on the territory of the republic, it is required to build a 500 kW power line from the Datka substation to Khujand, a converter substation with a capacity of 1,300 mW in Sangtuda, a high-voltage direct current line from Sangtuda to Kabul and Peshawar. CASA-1000 is an interregional electricity transmission project in Central and South Asia to connect four countries - Kyrgyzstan, Tajikistan, Pakistan, and Afghanistan. It is presupposed that the project will create opportunities for the export of electricity surplus in summer period from Tajikistan and Kyrgyzstan to Pakistan through Afghanistan. Implementation of this project will result in peace and stability in Afghanistan and the region. This project will bring prosperity to the nations of Afghanistan, Pakistan, Kyrgyzstan and Tajikistan. The regional CASA-1000 project will not only have economic benefits for Afghanistan and Pakistan, but it will also have a positive impact on the security situation and political stability in these countries. The project initially also included transfer of electricity to Afghanistan, however the country abandoned its share of electricity due to dearth of demand, hence Pakistan will receive 1,300 megawatts of electricity. Groundbreaking for the project took place on May 12, 2016 in Tajikistan in a ceremony attended by the Kyrgyz, Tajik, and Pakistani Prime Ministers. The total cost of CASA-1000 regional project is estimated at $1.2 billion and is expected to be completed by 2020. The project's expenses are distributed as follows: Tajikistan - $ 314 million, Kyrgyzstan - $ 209 million, Afghanistan - $ 354 million and Pakistan - $ 209 million. Such international financial institution as the World Bank (WB), the European Bank, the European Bank for Reconstruction and Development (EBRD), the Islamic Development Bank (IDB), as well as the UK government and others act as investors in the project. In particular, for the implementation of the Tajik section of the project, the World Bank will allocate $45 million the IDB - $70 million, and the EBRD - $110 million. Economy analysts are not very hopeful about the implementation of the project due to lack of cooperation between the countries involved. The experts note the insecurity in Afghanistan as another hurdle for the electricity transmission project.